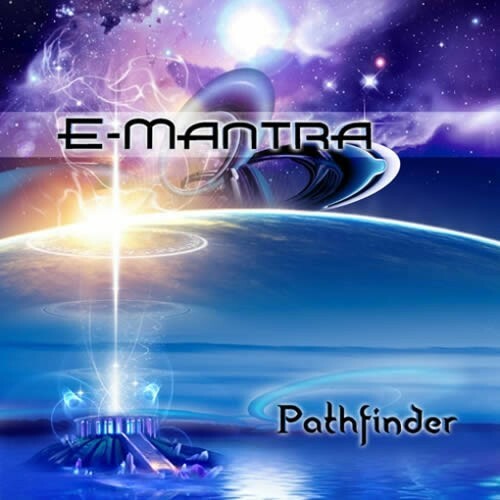 E-Mantra, aka Emanuel Carpus, from Romania is one of the biggest stars of the modern melodic Goa-trance movement. Two years ago he released his highly acclaimed debut album Arcana on Suntrip Records, and was immediately called to play everywhere, including Antaris project 2011, and we are now ready for a magical follow-up!Twisted, hypnotic, even ominous at times and yet filled with magical melodies... Describing E-Mantras unique style is hard. Making both Goa-trance and Ambient he showcases the best of the best on Pathfinder!The album starts with Pathfinder and Metamorphic Resonance, two deep entrancing tracks with a straight drive, which slide gently into dancefloor madness, with acidic twirls covered up by sweet enchanting melodies.In the second part of the album, melodies take the lead to give the tracks a highly hypnotic shape. A trippy remix of the anthem Dansul Ielelor is followed by Valley of the Kings, a hymn to euphoric eastern melodies, while Distant Signals and Afterglow make you dive into the deep mental side of E-Mantra. The turmoil of madness completes with a relentless acidic remix of Approaching Nibiru!The album closes on two deep, floating vibrant ambient masterpieces!If you are wondering how the E-Mantra sound evolved in the last two years, this is your chance! Get ready to be propelled into E-Mantras universe!